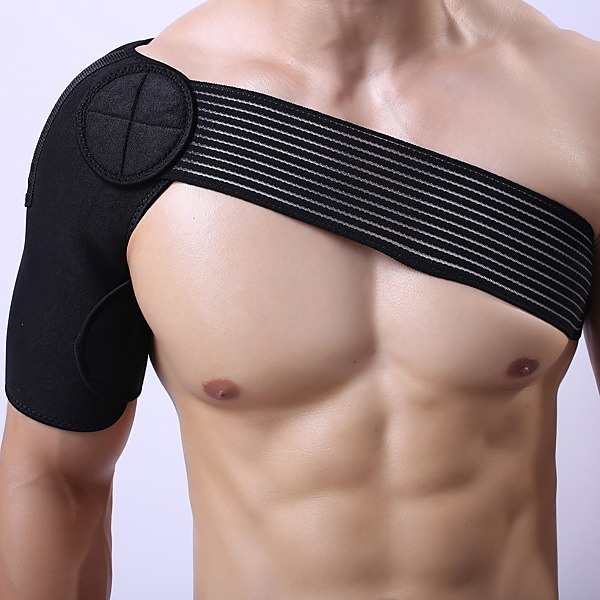 This adjustable Shoulder support brace doubles as a compression strap and provides the protection of a bandage wrap. 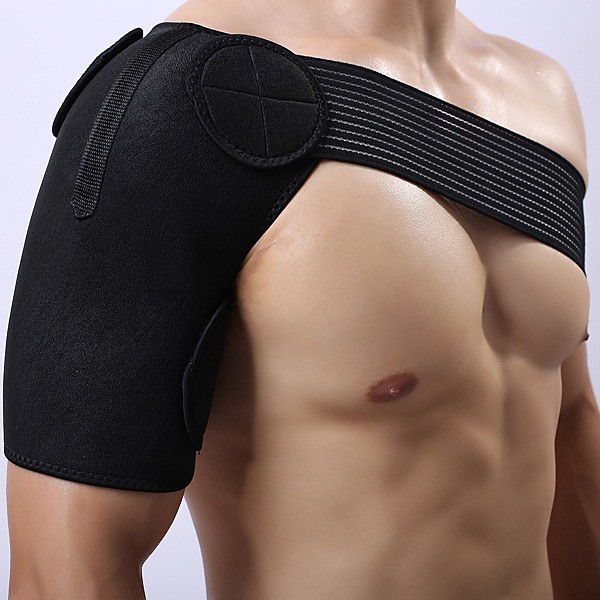 This shoulder brace is ideal for workouts at the gym when you need extra support for avoiding injury. It’s not bulky and is lightweight enough to wear while playing any sport. The snuggly wrapped brace uses your body heat to increase circulation and bring warmth to your shoulder joint and surrounding area. Not only does this fantastic brace protect old injuries it helps prevent new ones because of its tight fit and warming effect. One size fits most. 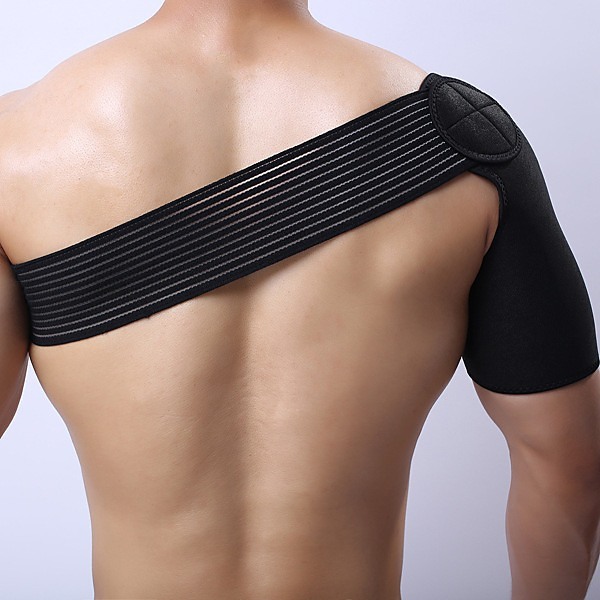 This shoulder support is a must-have whether you’re a professional athlete or a weekend sports lover.